UPPER MANHATTAN (WABC) -- Officials have arrested several people who they said pretended to be Uber drivers to hide their drug dealing. 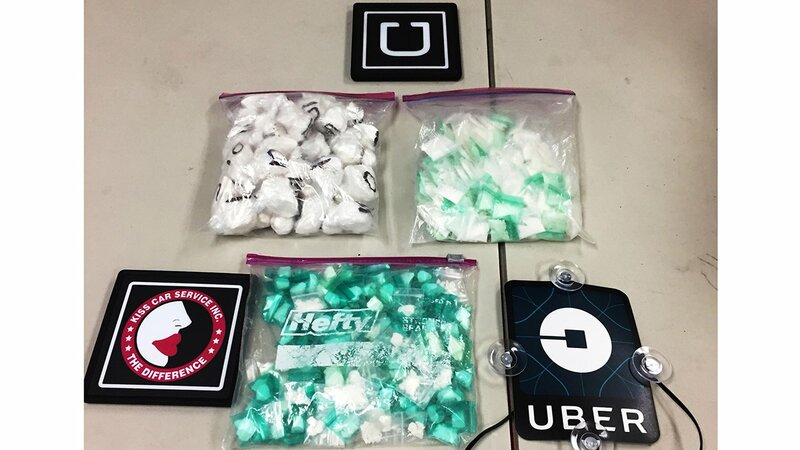 According to the prosecutors office, the suspected drug dealers put fake Uber logos and stickers on their cars so they could park in front of buildings in the Bronx and Upper Manhattan to wait for deliveries , and not raise suspicions. The organization busted in Operation "Uber Connect" had more than 100 customers with high-volume sales, according to Office of the Special Narcotics Prosecutor for the City of New York. One kilogram of cocaine, five vehicles (one with a concealed compartment inside) and $22,768 were among the items seized. Officials said Alfredo Tejada-Almonte was the leader of the organization. His bail was set at $150,000. Dibanny Cortorreal-Marte, 37; Roberto Toribio; Oscar Tejada-Almonte, 31; Miguel La-Paz Lugo, 37; and Selena Santos, 22, were arrested Wednesday morning and last week in connection with the bust.